The 50 Years 50 Voices exhibition, which opens today, tells the stories of some of the people who've lived, worked and partied in King's Cross over the last five decades. Made up of memories and photos contributed by members of the public, it enables the viewer to dip into people's lives through a range of images and artefacts. From social upheaval to clubbing paradise, it brings to life the tales the area's seen before its current major overhaul. "This is my mum Jessie Simmons, and it was taken in 1959 when I was 11. Jessie was a Labour Party activist, secretary of the local ward in Somers Town (we lived in Levita House, the estate between Chalton Street and Ossulston Street). There was political turmoil at the time with a Tory council imposing drastic rent rises. There were demonstrations, as here, against the Tories. Some Labour Party members had recently raised the red flag on St Pancras town hall. Lena Jeger, the Labour MP, had been defeated in the general election by a smooth TV celebrity Tory Geoffrey Johnson-Smith. But my mum radiated an air of resistance and, by taking me to many of the meetings and the election count, passed that on to me. "I can’t be sure exactly where this was taken but I believe it’s in the area that was between the southern part of Levita House and the Euston Road, now completely changed. It’s now occupied by an upmarket hotel, with the British Library next to it. "It’s a characteristic image of my mum, someone I still think about daily even though she died from cancer in 1968. Her early death meant that I could never ask her questions about photos like this. The photo represents the spirit of dignified resistance and the need to stand up for the vulnerable. Jessie believed you did that through democratic argument not through violence, but marches and demonstrations were part of the democratic way. Her smart dress, hat and gloves say ‘I’m as good as any member of the aristocracy’ and I’ll stand up for my place in the world — and that of my family. 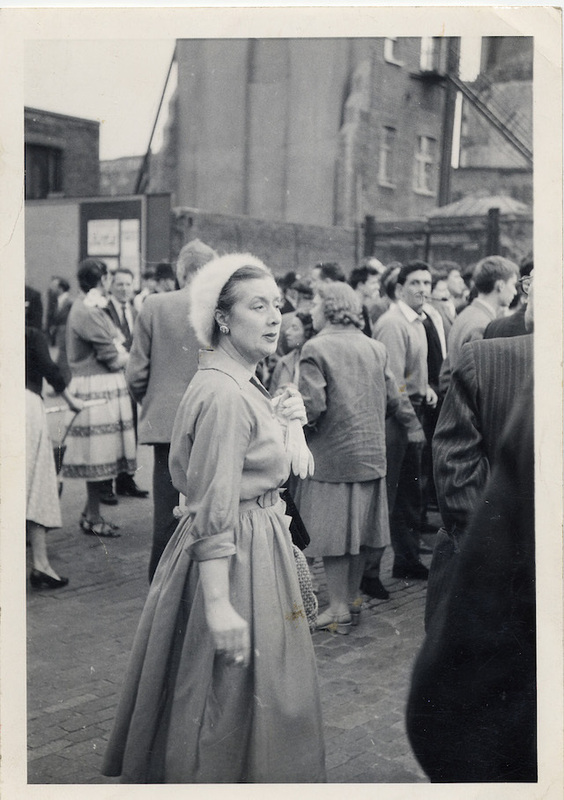 "I decided to submit this picture to the exhibition because it shows my mum in her King’s Cross environment. It shows that King’s Cross has been a place of character and aspiration, a place where decent working people live and have lived. The photo conveys that sense of pride." 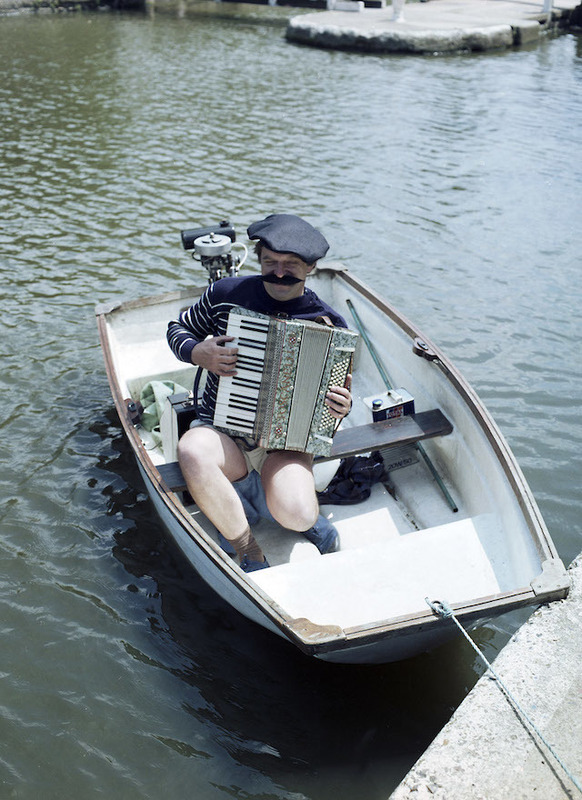 This is a photo of Tony Simcox, the former commodore of St Pancras Cruising Club, serenading visitors to the club’s annual rally in 1992, one of the many epic fancy dress parties and celebrations thrown by the club, which was founded in the 1950s. Photo courtesy of St Pancras Cruising Club Archive. King’s Cross has always been home to many diverse communities. 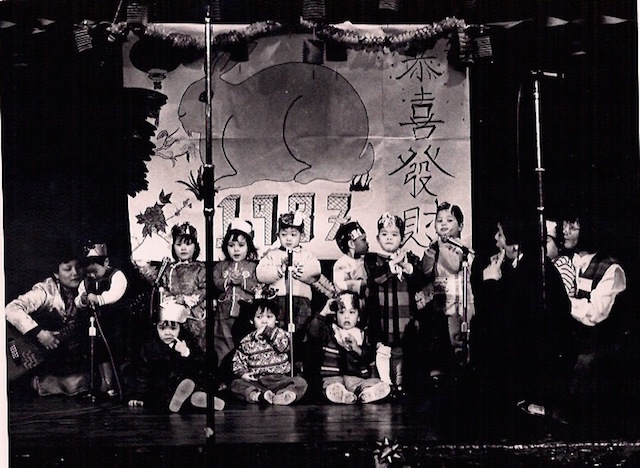 Here, children from the bilingual nursery at Camden Chinese Community Centre perform for the first time at the Chinese New Year celebrations in 1987. Courtesy of Camden Chinese Centre. 50 Years 50 Voices is at King’s Cross Visitor Centre and runs until 1 July, Mon-Fri 10am-5pm and Sat 10am-4pm. Entry is free.